Although I have enjoyed this series, l couldn’t escape the TV Series. But enjoyable just the same. But not worthy of five stars. 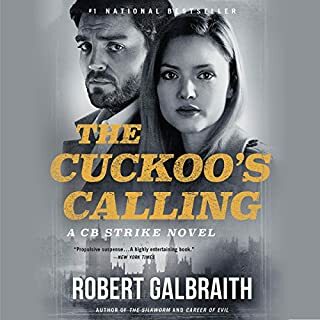 Really enjoyed this Audiobook and story. 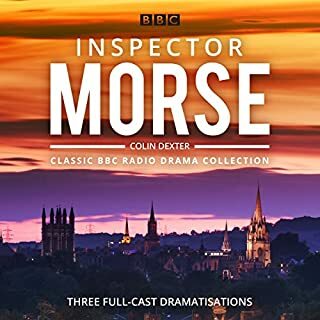 A bit different from the usual Detective series. So as it ended well, I hopefully will enjoy the following series. 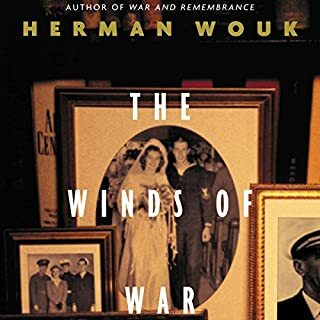 Other than quite a bit Swearing in a few chapters, that took me back to my days in the British Army, five decades ago, but definitely fitting with the Characters. 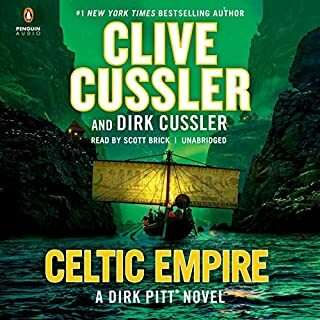 As a Native Born Scot, and a fan of Clive Cussler, I was looking forward to reading this novel. But found myself a bit disappointed. Scott Brick did his usual gray job of narration. Although his Scottish and Irish accents, could use some work. But that’s just me nitpicking. So instead of my usual five stars I gave it four. But I’m sure most readers won’t worry about that. Great Saga of an era. I had to think twice about taking on this long 47 hours story. But so happy I did. 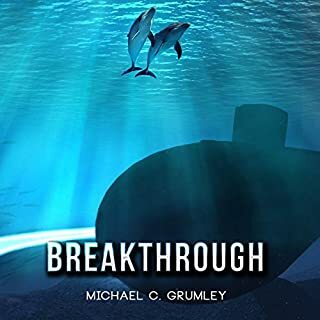 Great story and characters, well narrated. Engrossing one just can’t stop listening to the saga unfold. Ago. And decided to go online to buy the DVD series. But price for the few I saw were ridiculous. But on further searching, found it on YouTube. And loved it all over again. Following the book almost word for word. 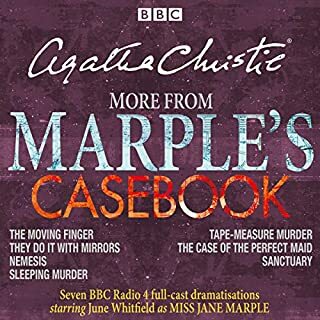 So I endorse the Audiobook and the Mini Series totally. You won’t be disappointed. All these stories and plays, are well known and enjoyable. 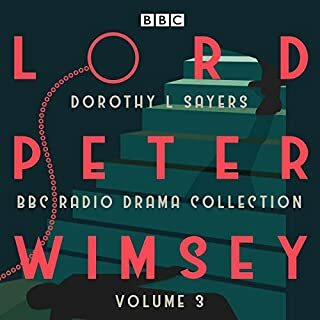 June Whitfield and other cast members were excellent. A bit like going back to an earlier era, when we’d all huddle around the Radio. Took me back a few years. Growing up in Scotland during the 1940 to late 1950's, our home entertainment was the Wirekess, Radio to America. Much the same as in America during that era. Many of these shows were much !ike, we'd see later on Television. But detective plays were my favorite. We would turn off the lights and listen by the flickering flames.. Made it more mysterious and the sound effects, added to the effects. Was also a fan of Ian Carmichael from his movies. So besides the memories, I really enjoyed the plays. Just a real fun listen. Have to admit lover hearing all those British accents, I grew up with. 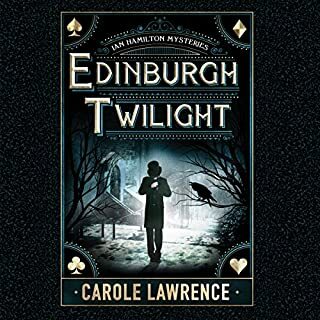 A wicked Scottish winter has just begun when pioneering female physician Sophia Jex-Blake calls on Detective Inspector Ian Hamilton to investigate the suspicious death of one of her patients - a railroad lineman who she believes succumbed to the horrific effects of arsenic poisoning. The most provocative aspect of the case doesn’t escape Hamilton: the married victim’s numerous sexual transgressions. 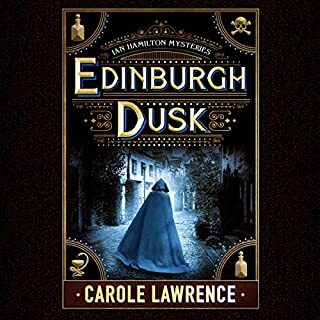 Now, for the first time since the unexplained fire that killed his parents, Hamilton enters the Royal Infirmary to gain the insights of brilliant medical student Arthur Conan Doyle. Hated for it to end! The characters were all three dimensional. And the accents done well. I found myself slipping back into my own accent, still there after fifty years in the United States. While all that was wonderful and nostalgic, having a good story behind it all, wouldn’t have made this as good as it is. And making me impatient for the next tale of Detective Ian Hamilton. I think these stories will be listened to often and enjoyed again. This is my first reading, or at listening. Hard to believe that it was self published. I’m sure once more people try his writing, he won’t be doing that much longer. Now that he’s available on Audible Books, he’ll get plenty of attention. I for one, will go through the trilogy. I guess most of the world is familiar with this classic story. Hollywood and British Television certainly have made good use of this love story. I confess this was my first time reading or listening to the book. I was surprised by how close the story was followed by the Producers of all those movies. The only section omitted was the final chapter, which I thought wrapped the story up well. Was so familiar and well known by me. I’m sure it doesn’t need my recommendation. Just listen and enjoy it, as I’m sure you will. Rosamund Pike does an excellent performance, both in her characters and story telling. Five Stars all around. 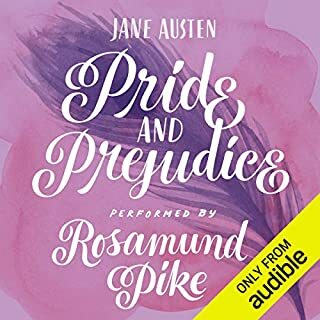 I really enjoyed this audiobook, for many reasons. It was filled with great well rounded characters. And the chase of the serial killer, well written with interesting people. I’m sure that added much to my pleasure in listening to the story. Hearing the accents again, which were all well performed. Even the women’s voices and young boys. I can’t wait to purchase the next book, in this series.